It’s March 1st and that means it’s time for another installment of DIGITAL BLOOMS, where I team up with my friend and ultra talented flower designer Rebecca Dawn Design each month to create 3 free desktop wallpapers! Except… plot twist — this month, there aren’t any flowers! 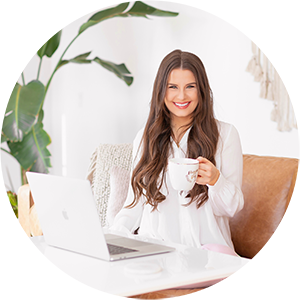 March is going to be an incredibly exciting month here at JustineCelina for a few reasons — first, it’s my Blogiversary month (I hit publish on my very first post almost 2 years ago! ), it’s the first month of spring (hallelujah!) and I have some amazing plans in the works (including travel — and you’re coming with me!). I think you may be able to tell from all the exclamation points in this paragraph just how thrilled I am to be able to share all of this with you! March seems like the perfect time to celebrate Pantone’s Colour of the Year for 2017, Greenery (are you sick of hearing me yammer on about Greenery yet?! ), by incorporating this refreshing and revitalizing shade, symbolic of new beginnings, into March’s Digital Blooms. Pantone coined 2017’s it hue as ‘nature’s neutral’ and this month we’re showing it off with an array of exotic green foliage! While we may not see the first signs of spring’s natural greenery in Calgary this month, we can refresh our digital devices with this reviving, restoring and renewing hue. We hope you enjoy March’s Digital Blooms — click through for 3 free Greenery inspired downloads sure to freshen up the background of your completer, tablet or phone just in time for spring! I hope you enjoyed the Greenery Edition of DIGITAL BLOOMS! Be sure to stay tuned this month if you’d to learn more about this unconventional foliage — you’ll be seeing more of it in a beautiful, 100% greenery arrangement later this month. Wishing you all a very happy early spring from JustineCelina headquarters! It’s so nice to have this monthly appointment with three gorgeous flower arrangements! This month I chose design number 2, but I maybe changing things up during the weeks…march is a long month! Thank you Justine! And thank you Rebecca! Thanks for stopping by, Nicoletta — I always love to hear from you and see what you choose! 🙂 And you’re very welcome. Hope you and Loreto have a fantastic weekend! There are so pretty, I love the greenery-only celebration!! Thank you so much for this! Thank you so much, Gabby! It’s a refreshing change of scenery, isn’t it? Enjoy! I love this pop of green at the end of the Winter. So lovely! I really love changing my desktop every month when you release these! Absolutely stunning as always. I have the prettiest laptop all because of your beautiful digital backgrounds. Aww, what a sweet comment! Thanks Diana — we hope you enjoy March’s designs. 🙂 Have a great weekend!